Yesennia graduated from UCSD with a Bachelor’s degree in Human Biology. 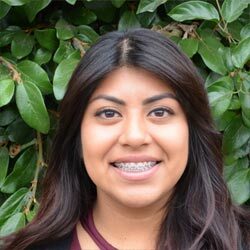 Before joining the TFALC Team as an educational coach, Yesennia was a programs leader at Clairemont High School’s after school program, as well as a tutor for elementary age students. She enjoys the one-on-one interactions she has with her students at TFALC to help them reach their educational goals. In her free time, Yesennia likes to work out and go hiking with her dog.